I spent time for acclimatisation in Khumbu where I climbed Lobuche East 6119m before I departed to Annapurna 8091m which I succesfully climbed - after the expedition we departed quickly by helicopter and arrived very fast in kathmandu. My requests where all completly taken care of - it was a very nice experince - I felt I can trust this Company! The trekking part and the expedition part was very well organised. The logistical was efficiency, the food very well and all the support team very professionals, competents and sympathics. Rishi, the owner of the compagny is very disponible, respond to all my questions before expedition, manage very well all the logistical and adminstrative tasks a the ministry, and was very present for us when we need. they ensured all transfers, prepared everything, we had nothing to worry about all through our stay in Nepal. the lodges selected were nice, with very good food. we that a great time and we recommend it to all! This is the 3rd time visit Nepal for trekking and also the 3rd time I use the service from Rishi. He provide quick response for all inquiries and very well organised for our trip. Satori Adventure's team was extremely helpful and professional. The success of this trip for all my group (15people) came from their support. The borrowed equipment (Down jacket, duffle bag and down sleeping bag) were cleaned and working well during trekking. They provide unexpected service that we did not aware of it; Visiting the camp at EBC and offering to stay the the base camp are very impressive services that we did not expect before. Highly recommend to all and look forward to using again on my next trip. 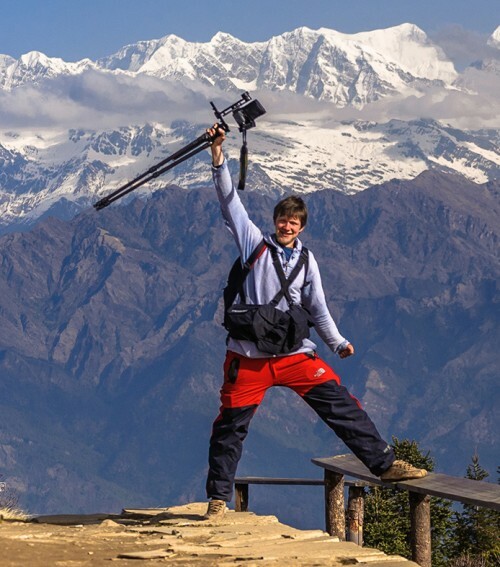 I have used Satori Adventures in Kathmandu several times and have found them to be professional, organized, provide excellent service and that they really go above and beyond to ensure your expedition is trip is a life changing experience. I was to climb Island peak in Nepal for 20 days and found that The trekking climb was a wonderful adventure. Each day of trekking was inspiring, being surrounded by the spectacular views, and magnificent mountain peaks. Satori Managements team, Specially Rishi Bhandari, Guides, Sherpa’, porters where very friendly, helpful, and knowledgeable. They helped make my trip a wonderful experience in the Himalayas. Rishi ensured that my trip requests where fulfilled and the trip was tailored exactly to my needs. I would highly recommend Satori team to use for any expedition in Himalayas!! We climbed Himlung Himal few years ago at spring period. This mountain, more 7000 m is quite accessible. The major interest is the full trail . The "Phu" vallay is so nice and people are very friendly. After Phu, you are in the "wild" only with ibex. The advanced base camp is very nice to have a rest in a gorgeous landscape. When we climbed this mountain, there was only one other group which didn t succeed. With our team, we had to find the good way in big crevasses. There are no major danger (crevasses or avalanche). On short difficult passage is nearly 6000 m, there is a big crevasse. Above this part, there are regular and gentle slopes. Camp Nr 3 is approximatively 6400m. Don t under estimate the last day to reach the summit. It is not difficult, but a long way and the final slope is in good condition. From the top the view is extraordinary on Manaslu and Annapurna and Tibet. At spring season, you need to start from camp 3 at 2 or 3:00 am, because it is very usual that the clouds come at the end of the morning. I encourage all of you the climb this mountain with Satori and Rishi Bandari. His team is very professionnal and efficient. We did many trek and summit (like Mera Peak). This summit is realy appropriated for not experineced climbers. A good step before going higher and further on the more difficult summits. And top of all, the palce is wild and not crowded! I encourage everybody to do this ascent (with a little bit training before). A successful Everest expedition needs everything from an experienced and a strong Sherpa team, cooks, and other staff at the base camp, reliable and well tested equipment such as tents, ropes, high altitude stoves, wide variety of food selection inclusive of fresh vegetables, and fresh fruits, specialized high altitude food, good base camp facilities such as individual tents, clean and well maintained kitchen, dining, shower, and loo tents for the entire team and staff, brand new oxygen bottles, high quality summit masks and regulators for the climbers and Sherpa guides, a comfortable and luxury trek in and out of the base camp, and above all a strong ground operation in Kathmandu that takes care of all government formalities and paperwork, and is available to organize rescues in case of emergencies on the mountain. Rishi and Satori adventures provided every single thing from the above list, and they went above and beyond all expectations. 6 out of 7 members made it to the top of Mt. Everest and made it back down alive. A big part of this success is due to the Satori adventures' team and organization both on and off the mountain. 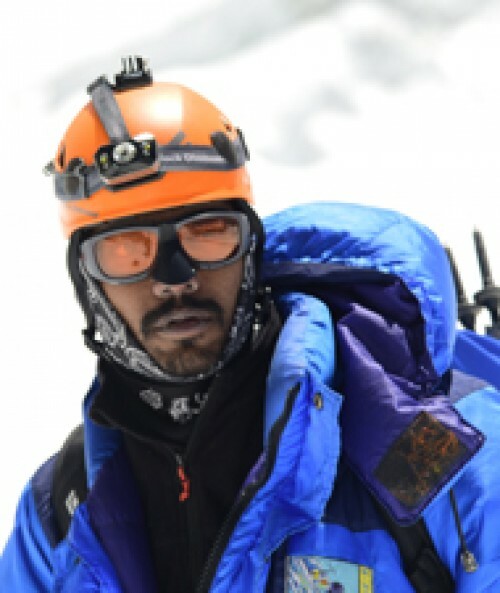 Rishi as the CEO of Satori adventures provided us full support throughout our Everest climb. Rishi understands how to run a big mountain expedition and deeply cares for the success and safety of all expedition members. Two of the climbers on my team required immediate helicopter evacuation from Camp two, and Rishi organized that without any delay. If you are looking to climb Everest or any of the other 8000 meter mountains in Nepal or Tibet, I would highly recommend that you go with Satori adventures. And if you are looking to do any trekking or climbing a 6000 meter or a 7000 meter mountain I would again recommend to climb with Rishi and his team. 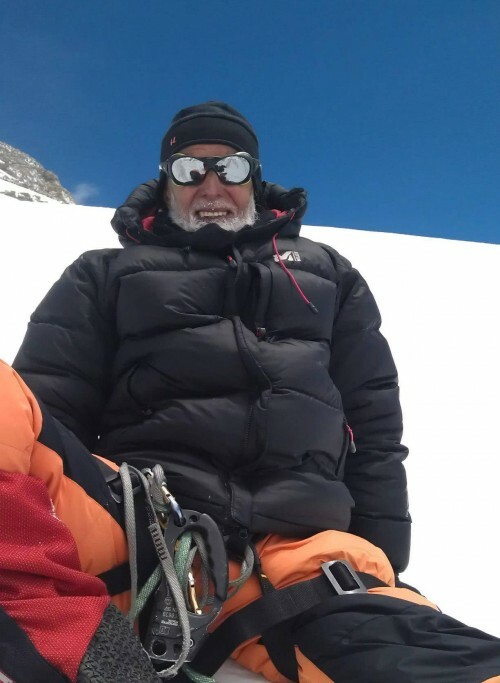 I have now been on three 8000 meter mountain expeditions and one 6000 meter mountain expedition with Rishi and his team and I have no complaints at all. Every single aspect of the expedition is very well taken care of. We had a great time on the EBC trek supported by Rishi and his team from Satori adventures. We had booked because of Rishi’s reputation as a great organizer and most welcoming host. He certainly lived up to this! We were very impressed by the trek crew who were cheerful and friendly and ran an excellent and tasty base camp on our climb. Point to note, trekkers summit of Lobuche East is actually about 5900m. I would like to highly recommend Satori Adventures to anyone who wants to book high Himalayan expedition. I had booked Ama Dablam expedition and be assured of fantastic service, good price and great possibility to reach you goal. I had summated Cho Oyu expedition with Satori arrangements and have recently returned from Ama Dablam spring expedition. 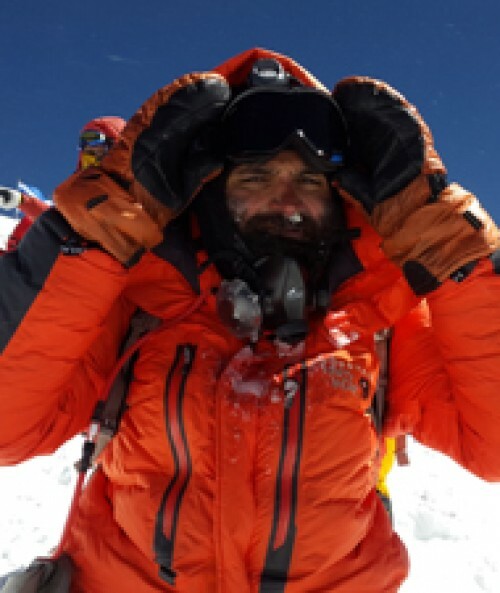 Unfortunately, natural disaster, a terrible earthquake and bad weather, did not allow us to complete expedition successfully, but even in that situation Rishi Bhandari managed organized expedition according itinerary, including summiting Island Peak, comfortable staying in Ama Dalam base camp and camp I. I have no complaints only great pleasure staying with team friends. All the support staff was amazing, friendly, helpful, knowledgeable and professional. Ngima Tamang, the kitchen chef, worked hard to give us great variety so the food never became boring, Bibek, the sirdar, fantastical guy, always did his best, tries to solve all problems and make our expedition safe and successful as possible. I‘m sure, Nepal is safe and waiting for you as never, so make a contact with Rishi, managing director of the company. I am sure that he will take care of you, making your dreams real. Rishi works hard and is very committed to making everyone's holiday the best. I have climbed successfully Cho-Oyu and Shishapangma Expedition with Satori Service. The service was Excellent, professioanl organization, very helpful staff and very quick in answers by Rishi Bhandari. We have got competitive price. In the base camp service is excellent and the staff work hard. Satori Sirdar and expedition leader Mr Mingma Temba Sherpa Willingness to best solve each problem. Rishi is a very good person, helpful and friendly. Surely we'll organize again other expeditions together. Satori Agency VERY RECOMMENDED FOR ANY CLIMBERS!!! "Himalaya Mountains are the treasure of whole World! Satori Adventures is not only a service provided, one of the best responsible adventures company we found in The Himalayas. We had already explored Manaslu, Annapurna, Everest, Makalu, Kanchejunga, Upper Mustang, and Upper Dolpo through these excellent operators. Our team was lucky to see the Highest Mountain of Planet, and the beauty of Nature has made us fall in love to this place. There were no doubts that we will try to come back again and again! You people can imagine that how we choose this company again and again. We use Satori Adventures service again and again Because Mr. Rishi and his team always welcome us with open heart. We found that they welcome as a guest and good bye t use as a friendship. Till now I have great result! 900 km of walking 6 times above 5000m, and around 1TB of photos which will going to be the first ever Virtual Tour about this Wonderful places. So IVV.NAMe team highly recommend that Satori Adveentures may become Your reliable Partner in any challenging trips that You would like to go in Nepal ! We did EBC Trek and Island Peak Climb, elevation 17,598 feet / 5,364 meters, and a climb of Imja Tse, better known as Island Peak, elevation 20,305 feet / 6,189m and Use Satori Adventures and Expedition. I was climb mountain and trekking all around the world from last 20 years and found that The trek was a wonderful adventure. Each day of trekking was inspiring, being surrounded by the spectacular views, and magnificent mountain peaks. Satori Managements team, Specially Rishi Bhandari, Guides, Sherpa’, porters where very friendly, helpful, and knowledgeable. They helped make my trip a wonderful experience iin the Himalayas. Rishi ensured that my trip requests where fulfilled and the trip was tailored exactly to my needs. I would highly recommend Satori team to use for any expedition in Himalayas!! It was a long time ago when I and my friends had a lively conversation about Himalaya Mountains and Nepal resulting in decision to go and explore the roof of the world ourselves. I had started to search a genuen company which could provide all service there. As usually I search in Google for activities in Nepal and found Satori Adventures. We had three weeks of amazing adventures in Annapurna region! Trekking around Annapurna, getting over Thorung La (5416m) pass, cycling downhill to Beni, was, what a experience for us. Awesome. This trip needs to be repeated! So we are very grateful to Rishi and Satori team for this unforgettable trip we had meet wonderful people face to face. How touching to see the local kids putting their small dirty palms together and greeting travelers: Namaste! I found that Nepal is Never Ending Peace and Love for me. It`s true.From the bottom of my heart I recommend everyone to use Satori Adventures team for the most unforgettable experience in Himalayas.